100 years of unforgettable plays. As a global athletic footwear and apparel company, Reebok stands for fitness and promotion of an active lifestyle amongst their customers. This brand message is further established by Reebok’s partnership with major sports leagues, such as the National Hockey League, which had its 100th season in 2017. To celebrate the centennial of the sport, the players, and the memorable moments, Reebok wanted to immerse hockey fans in the NHL experience both on and off the rink. Reebok looked to Outform to create activations that would get fans participating, moving, and celebrating even when they weren’t watching the match. To create something truly unique, the activations had to be interactive, innovative, and most importantly, fun! To achieve the criteria, Outform looked to highlight the classic spirit of the NHL in a modern way through use of state-of-the-art technology and exciting executions. A modern take on a classic sport. 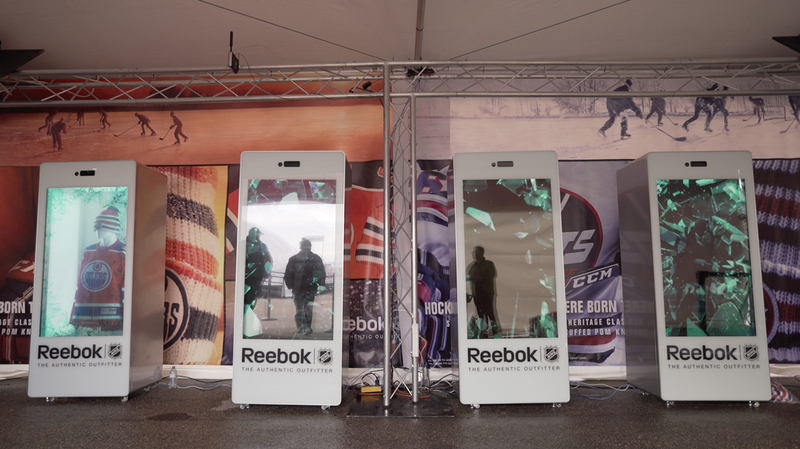 We surprised NHL fans with two different activations as part of the Reebok Interactive NHL Gaming Zone. The first was a set of augmented reality displays with several features. The displays housed the jerseys of the teams playing during a specific event behind a semi-transparent screen which played an attraction video loop, capturing attention of the event-goers. The displays also acted as an immersive augment reality platform, equipped with a camera and motion-sensing technology that allowed fans to capture themselves wearing a virtual NHL uniform of their favorite team. Participants could then enter their phone number to send themselves the snapshot as a digital keepsake. 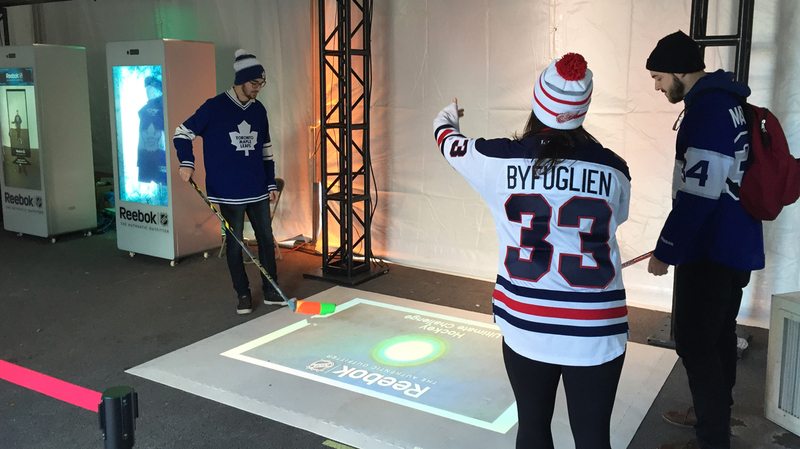 The second activation was a digital hockey game that used motion-tracking and projection mapping, putting fans in a fun, head-to-head match. Players competed against each other to see who could score the most goals in a race against the clock. 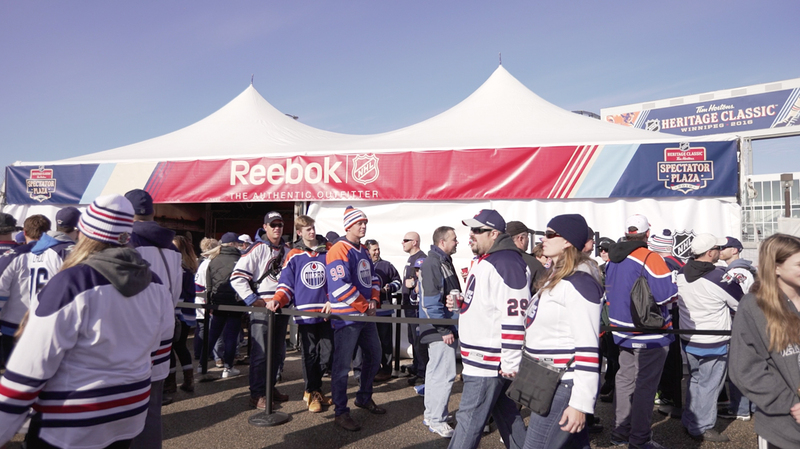 Both activations gave fans a chance to feel like hockey stars and take part in the NHL experience, keeping up the energy and spirit of the event. 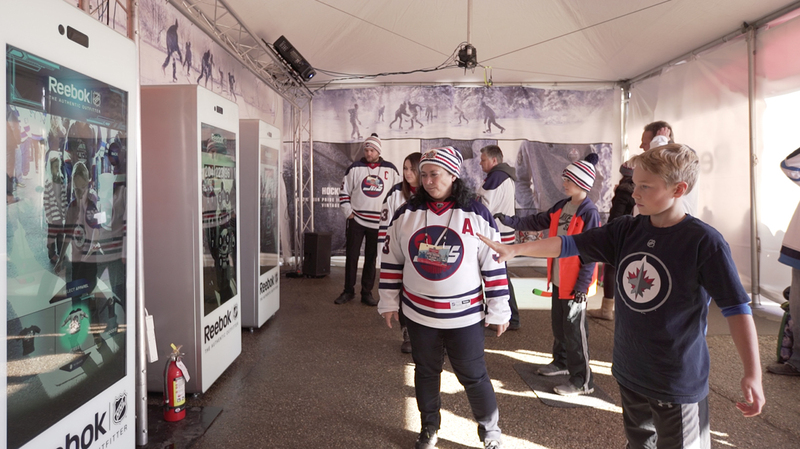 The Reebok Interactive NHL Gaming Zone thrilled thousands of NHL fans across 5 different cities in North America, including Winnipeg, St. Louis, Toronto, Los Angeles, and Pittsburgh.